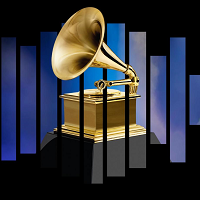 The 61st Grammy Awards will air on CBS February 10, 2019. It’s the recording industry’s most prestigious award. Bring the best of 2018 into your studio by selecting songs that are nominated (see playlist below), or use our already-prepared profile, Diversity, a 2019 Grammy Profile, by Julianne Lafleur. As the title suggests, this profile will be diverse—exploring all cadence ranges and all training zones, using Grammy-nominated songs from a variety of genres: rap, rock, pop, country, R&B, and dance. The profile will be divided into three sections that will increase in intensity; sections one and three will decrease in cadence while section two will increase in cadence. On the 1–10 RPE scale, all sections will begin at 4 (moderate) and will peak at 8 (very hard). Two song options have been provided for the warm-up and the stretches. You can choose the song that best suits your personal taste. To shorten this profile, eliminate one of the climbing songs in the third section and/or eliminate the stretches. The profile can also be easily lengthened by using both initial songs and offering an extended warm-up. This ride is SO MUCH FUN TO TEACH. I seriously couldn’t have done it without Julianne’s profile, though. She sorted through the nominees, found music that is great for indoor cycling, and put it in a fantastic, structured profile. To familiarize myself with the music, I ended up watching several of the videos–which are great, btw, and I highly recommend doing this. I also looked up the stories behind some of the artists, songs, and videos, which was also a valuable learning experience. I played several other songs from the list before class, and it was a nice way to introduce the ride. I hope the Grammy profile can become a yearly ICA tradition! !